In late October 2018, the California Workers’ Compensation Appeals Board (“WCAB”) issued an en banc opinion in the case of Suon v. California Dairies (“Suon”) addressing medical legal communication and record review. As en banc decisions are not commonplace, meant to opine on issues of importance for the workers’ compensation community, and are binding precedent on all Appeals Boards and Workers’ Compensation Judges, they are worthy of close consideration. In Suon, the WCAB addressed in detail procedural requirements and remedies related to the transmission of information to medical-legal evaluators which either violates the Labor Code or ignores an opposing party’s timely objection (QMEs and AMEs). In so doing, the Suon court expanded on the previous en banc decision in Maxham v. California Department of Corrections and Rehabilitation (2017) 82 CCC 136 (Appeals Board en banc) which defined “information” versus “communications” that were or were not subject to objection. Briefly, let’s consider the underlying facts of Suon. Three consolidated cases were in litigation when a Panel Qualified Medical Evaluation in orthopedics went forward on one of the cases. The Panel QME Dr. Weber was deposed by Applicant’s Attorney. During deposition, QME Dr. Weber indicated he wanted to review the report of the QME in psychiatry Dr. Paul and issue a supplemental report. Thereafter, defendant sent a unilateral correspondence to Dr. Weber transmitting the psyche QME report and asking that he comment on the same. No proof of service was attached to the letter although it was alleged that it was concurrently served on applicant’s attorney. QME Weber then issued a supplemental report noting his opinions remained “unchanged” after reviewing the QME Report by Dr. Paul. Prior to the supplemental report issued by Dr. Weber, Applicant’s Attorney wrote to one defendant and advised that he had heard from a codefendant that a letter had been sent to Dr. Weber, which had not been served on his office. Applicant’s Attorney subsequently objected when he received the supplemental report from QME Dr. Weber, again alleging that he had not been served with the request for a supplemental report, such that an ex parte communication had occurred, and the worker should be able replace and exclude QME Dr. Weber from the case. At trial, the WCJ found defendant violated section 4062.3(b) and ordered a replacement panel – an appeal followed. The en banc Board began by clarifying that an “ex parte communication” is a communication when opposing counsel is not present. The Suon en banc panel next addressed applicant’s argument that he was not served with the supplemental report request. The Board noted that where service is by mail, there is a rebuttable presumption it was delivered to an opposing party. However when a party objects that they were never served, the issue becomes a question of fact for the WCJ to determine whether service did in fact occur. This issue was remanded to the WCJ for further development. In the absence of a proof of service, the Board noted that defendant would need to produce other evidence suggesting applicant’s attorney had actually been served, otherwise an ex parte violation may be found. We advise that you should always include a proof of service when you are serving any records or communications on the QME or AME; or any other important document which you may need to prove was actually served should a dispute subsequently emerge. The Board next considered non-ex parte communications that nevertheless could be found to violate the Labor Code. The Board cited Section 4062.3 which requires “information” be served on an opposing party at least 20 days prior to being sent to a QME. Similarly “communications” with a QME must also be served on a party at least 20 days in advance of an evaluation. (Section 4062.3(e)). Absent waiver, the service of communication or information on a QME with less than 20 days of notice on an opposing party is “prohibited” by the Labor Code. In addressing the objection process of Labor Code 4062.3, the new and most relevant aspect of the Suon opinion is the Board’s determination that a party may object to the proposed transmission of medical records to medical-legal evaluators. The Labor Code is silent as to a right or method to object to medical records being sent to the QME as part of the evaluation process. The Labor Code expressly provides the right to object to non-medical records per Labor Code Section 4062.3(2)(e), and said objection must be raised no later than 20 days from service. The code is notably silent as to any right to object to medical records. Previously, it has been posited by many that there was no right to object to the transmission of medical records to the Qualified Medical Evaluator, given the omission in the code of any prohibition or method to do so. Although the Labor Code is silent on the ability to object to medical records and thus is also silent on any time frame to lodge such an objection, the WCAB has now declared that medical records may be objected to within a “reasonable time” by an opposing party in order to preserve the objection. The WCAB did not define how many days a party must wait before sending information to a QME in order to have allowed a “reasonable time” to lapse. 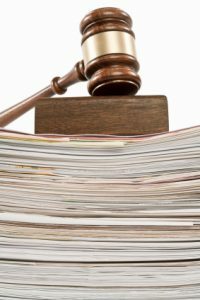 What constitutes a reasonable time for a party to object to medical records is sure to inspire new rounds of litigation. However we can infer a number of factors that would likely inform this standard. First, the Labor Code provides 20 days for an opposing party to object to non-medical records being sent to a Qualified Medical Evaluator. Therefore, a reasonable time to object would presumably be 20 days or less when considering the analogous time frame of Labor Code 4062.3. Additionally, the California Civil Code incorporated by the WCAB provides 5 additional days to any act where service is by U.S. Mail. Therefore we can also infer that a party must have more than 5 days to lodge an objection following service of proposed advocacy letters or records. Thus a reasonable time would likely be at a minimum 10 days and no more than 20 days from service. In a separate part of the decision, the Board noted that Section 4062.3(b) provides a full 20 days for a party to object and “presumably” the legislature believed 20 days was “sufficient time to review and agree on the information to be provided to the QME.” Therefore, the best practice is likely to treat all information and records as subject to the 4062.3(b) 20 day requirement regardless of whether the information may construed as a medical or non-medical record. Additionally, the Board held a “reasonable time” can be construed as lapsing based on the actions of the opposing party. Where the opposing party fails “to object at the first opportunity [it] may be construed as an implicit agreement by the opposing party” that the information may be provided to the QME. The only example provided by the Board of implicit waiver was that a party may not object subsequent to receiving a report from a QME and determining whether it was favorable. The WCAB has also emphasized that any time there is an objection concerning what information or communication may be sent to the QME which cannot be informally resolved, the parties should present the issue to the WCAB for a formal ruling resolving the discovery dispute. Where a party transmits information to a QME over the objection of another party or violates the procedural time lines of the Labor Code, the aggrieved party has the option to terminate the planned report and request a replacement evaluator. However the aggrieved party must take action to replace the evaluator “within a reasonable time” to avoid a presumed waiver of their objection. “The prejudicial impact versus the probative weight of information. The reasonableness, authenticity, and, as appropriate, relevance of the information to the determination of the medical issues. The timeline of events including: evidence of proper service of the information on the opposing party, attempts, if any, by the offending party to cure the violation, any disputes regarding receipt by the opposing party and when the opposing party objected to the violation. Case specific factual reasons that justify replacing or keeping the current QME, including the length of time the QME has been on the case. Whether there were good faith efforts by the parties to agree on the information to be provided to the QME. The Suon en banc panel ultimately remanded the case so that the trier of fact could determine whether defendant’s request for a supplemental report to Dr. Weber was an ex parte communication. As we know there was no proof of service attached to the letter, additional fact finding may need to occur. In the event the trier of fact found no ex parte communication occurred, the Judge was directed to next address the 4062.3(b) violation as defendant had not waited 20 days to send the records to the QME. The Judge was ordered to fashion an appropriate remedy based on the multi factor test provided by the Suon Board. Considering the QME had requested to review the medical-legal report in deposition and then had issued a supplemental report not changing any of his opinions, it would not appear that the Suon multi factor test would support removing or replacing QME Weber in the instant matter. There are several important take-aways from the Suon decision for Claims Professionals and Attorneys. An “ex parte” violation only occurs where information is communicated to the QME without notice to opposing parties. In other words, you find out after the fact that an opposing party has communicated with the QME or AME. Where an ex parte violation occurs, the remedy for the aggrieved party is to replace the evaluator and obtain a new evaluation. Please note that even where there is an ex parte violation, if the aggrieved party does not take affirmative action, there may be found to be waiver. In other words, an aggrieved party should move with alacrity to replace the QME should they so desire or face an argument of waiver from opposing counsel. A violation of Labor Code 4062.3(b) occurs when a party transmits “information” to a QME without waiting 20 days for the opposing party to object; or if a party transmits information over the objection of the opposing party without resolving the dispute informally or through adjudication at the WCAB. Parties must engage in an informal meet and confer effort prior to filing a declaration of readiness to proceed seeking the intervention of the WCAB. This is consistent with the Civil Discovery Act which acts as guidance for workers’ compensation litigation. Where parties cannot informally resolve a dispute concerning what information or records can be sent to the QME, the WCJ is empowered to address and resolve the discovery dispute. Where there has not be an ex parte communication, but there has been a violation of the 20 day rule contained in 4062.3(b), a WCJ has wide discretion in fashioning the appropriate remedy and is directed to consider 6 factors in making their determination. A party aggrieved by a decision of the WCJ concerning the QME/AME process may file for Removal with the Workers’ Compensation Appeals Board. In continuing on from Maxham, the WCAB has now further refined issues of medical legal communications and record review. The issue of potential objections to medical records is one that bears watching as the findings in this matter involving a psychological QME may be fact specific to this case, rather than intended to serve as a blanket allowance of objection to medical records. Such objections of course mean that WCJs will become more involved with the scope of what can be provided to a medical legal examiner. This would seem to give rise to the need for fact finding in advance of a medical legal exam, which creates more, rather than less litigation surround the medical legal process. Preclusion of medical records from the QME review would likely lead to due process or unsubstantial medical evidence arguments, such that we likely may see another decision addressing the scope of any such objections.